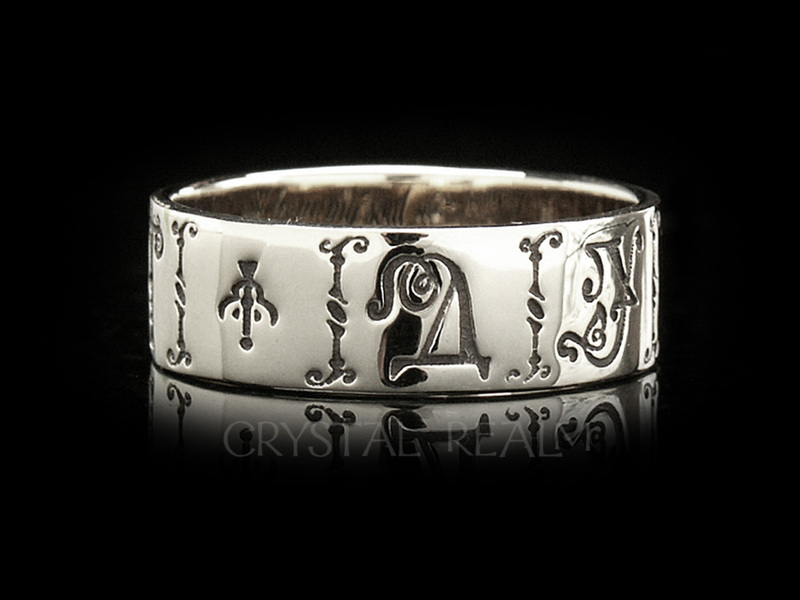 Make a custom posy wedding ring your own with your choice of initials or name on the ring. 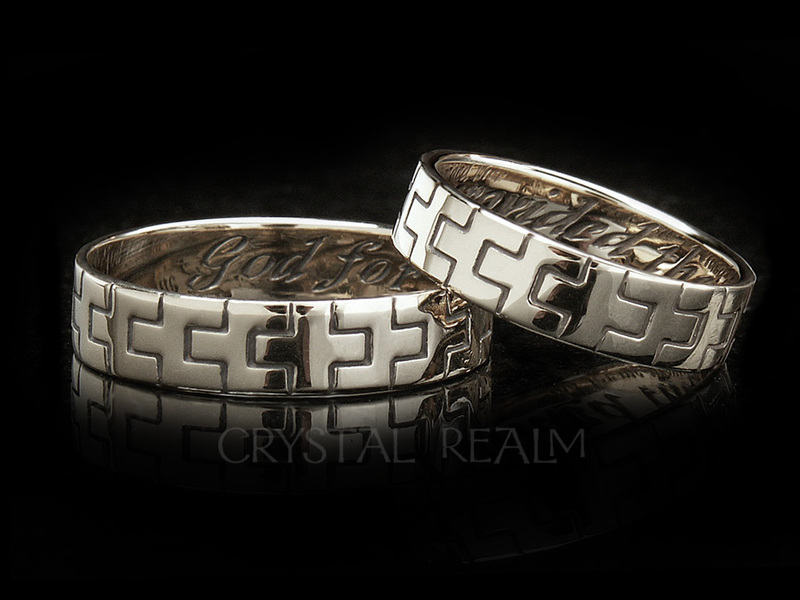 This ring is exclusive to Crystal Realm, and we first made it for a couple who wanted a ring with Polish lettering. 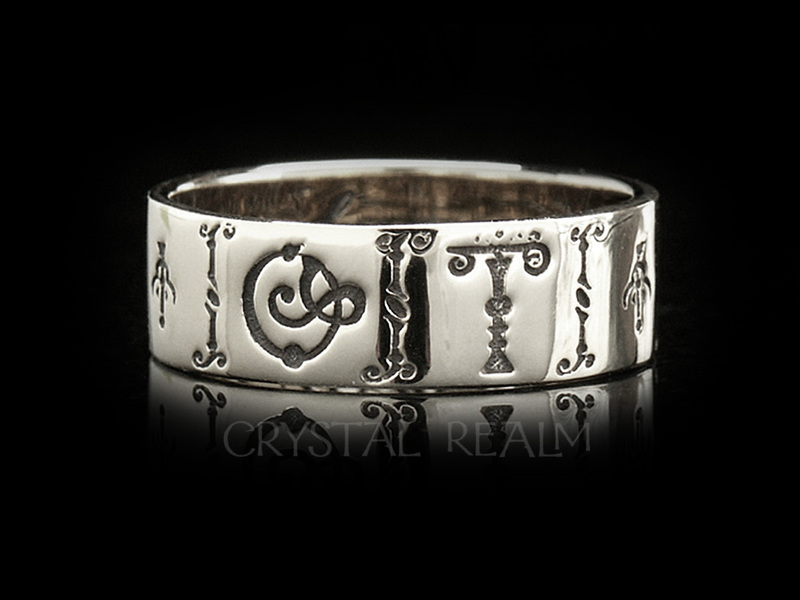 After careful deliberation over the choices Mandira provided, they chose lettering in a Gaelic font on a ring decorated with a Russian motif between every two instances of letters. 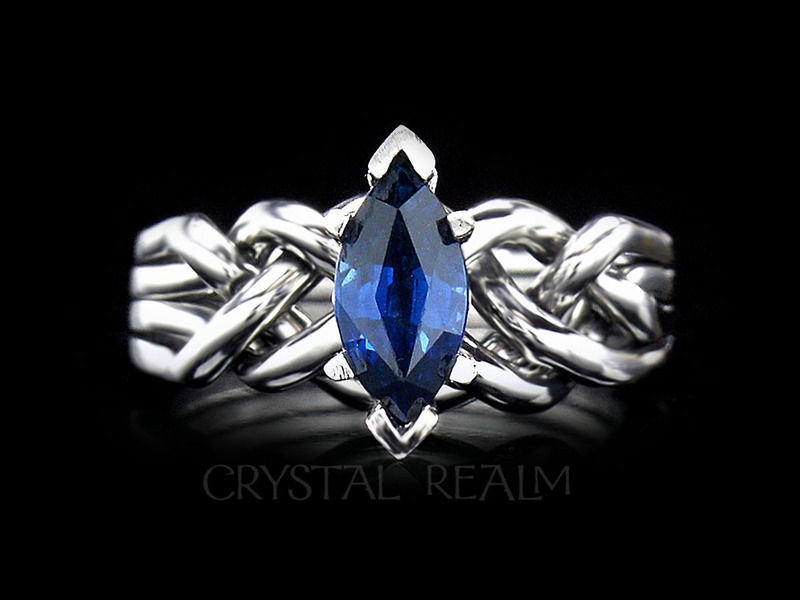 This ring is 6mm wide, and it is available in quarter, half, and whole sizes from 4 to 12.5. 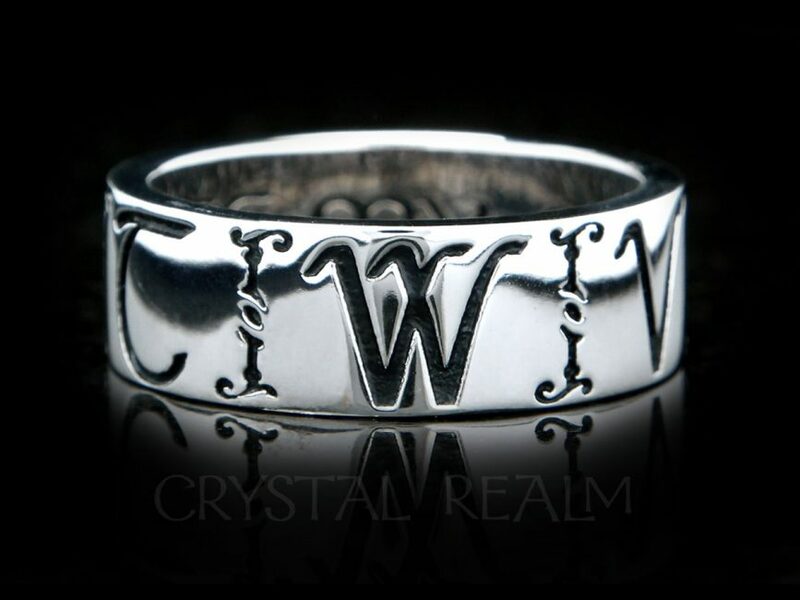 It is approximately 2mm thick, meaning it is a very substantial ring. 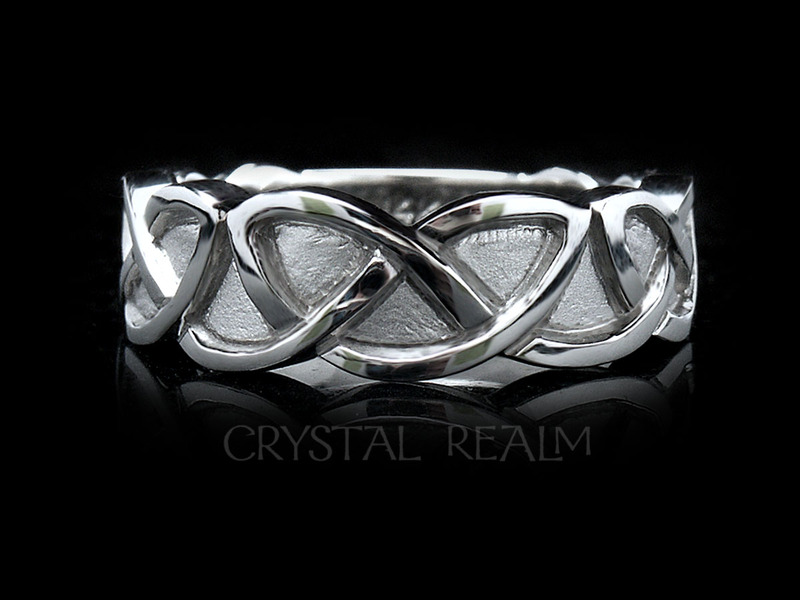 Choose from 14K white gold, shown, 14K yellow gold or 14K rose gold. 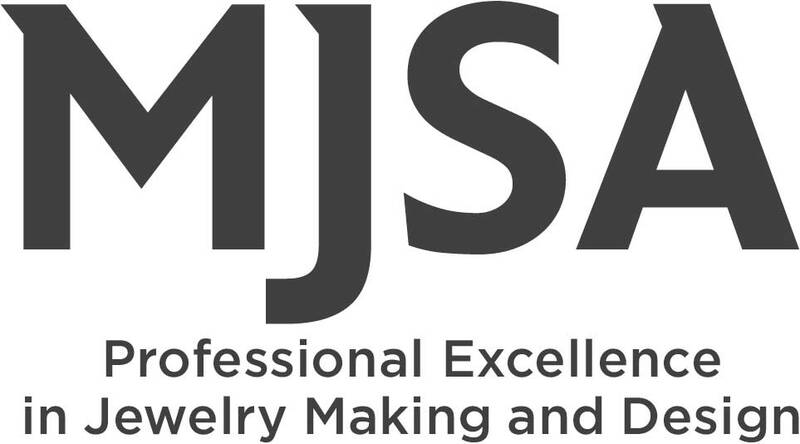 18K or platinum is available upon request. Priced singly. Order two for a pair (choosing one size at a time and placing it in your basket). 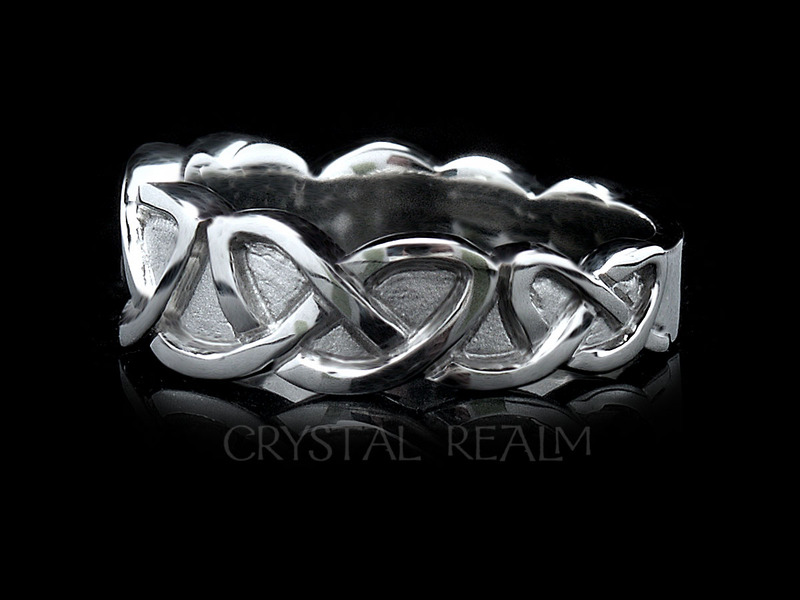 Made exclusively by Crystal Realm in the U.S. by the time-honored lost-wax casting method. 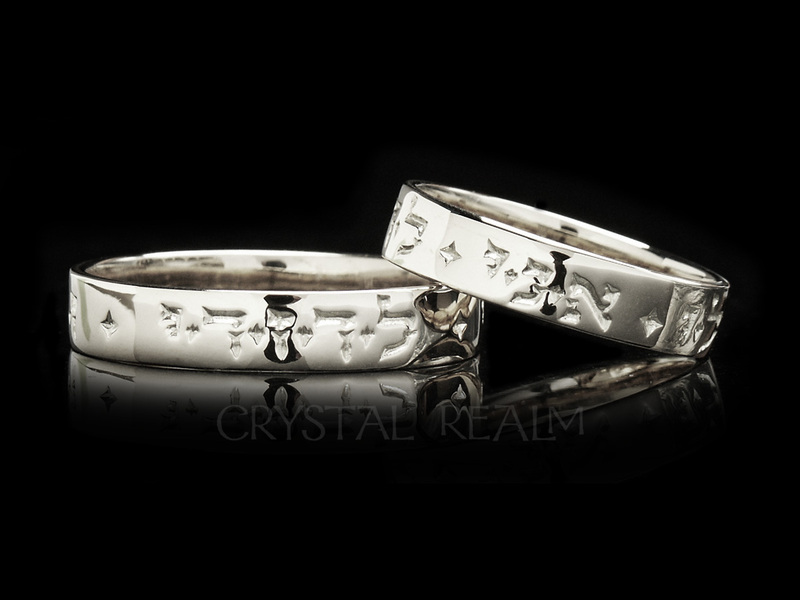 Your gold poesy ring(s) will be hand-made to your order and will ship in four to five weeks. 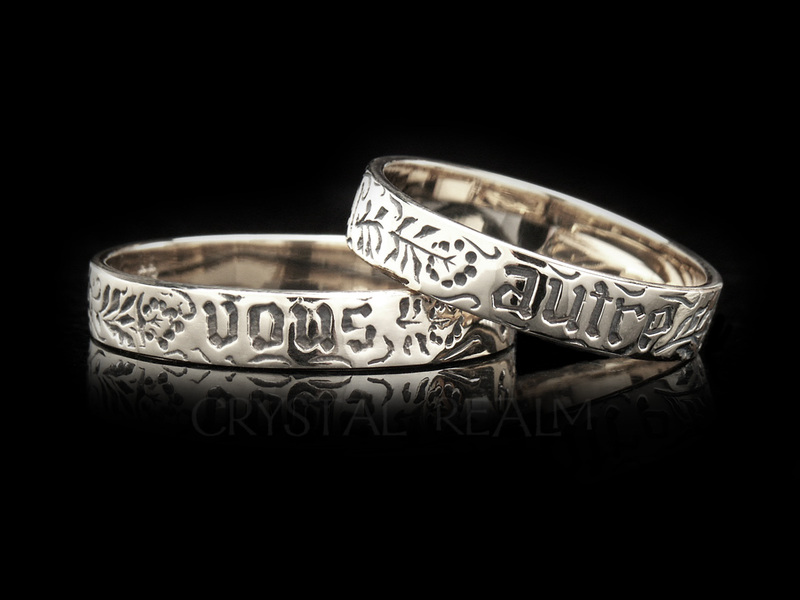 From the British Museum: By 1430 love rings engraved with inscriptions were known as ‘posies’ (from ‘poesy’ or poetry). In the 13th and 14th centuries the language of the posy was usually French, but from the 15th century English became increasingly common. Rings were given on many occasions. They often seem to have been declarations of love, rather than formal betrothal or marriage rings. Another quote from the British Museum: This ring is known as a posy ring, deriving from the French ‘poesie ‘ (poetry). 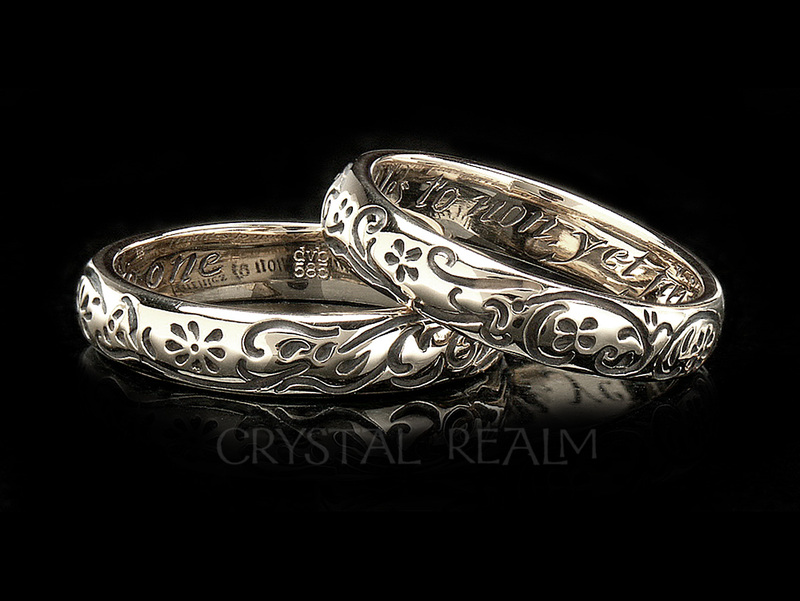 Posy rings were plain hoops inscribed with mottoes or saying, that might express sentiments of faith, commemoration, friendship and love. 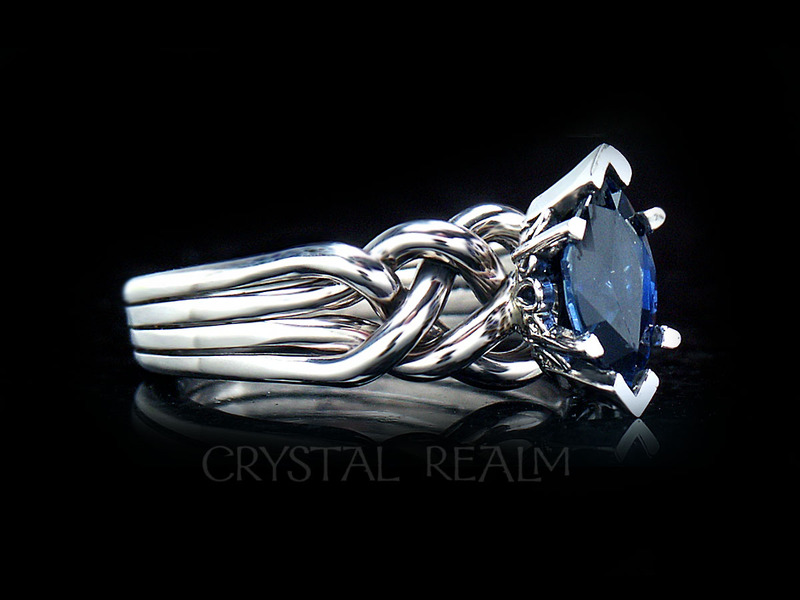 It was an especially popular type of ring in the fifteenth century. 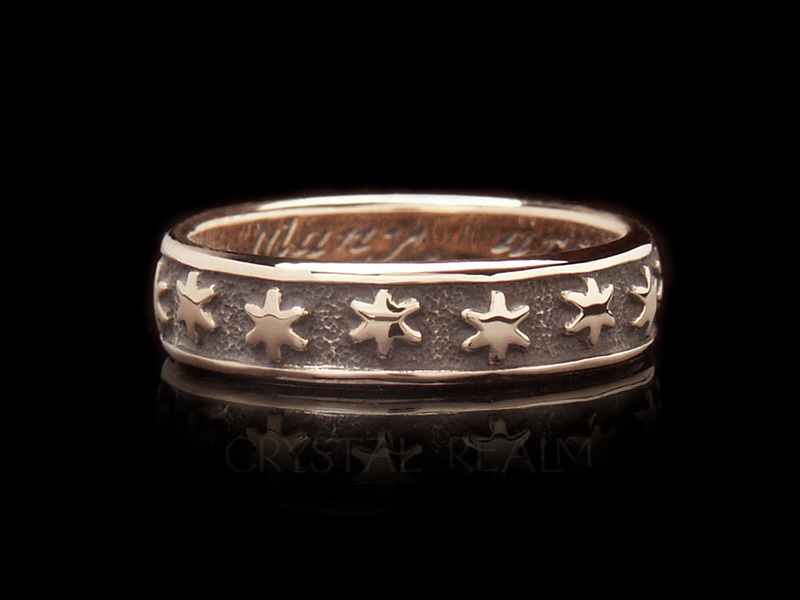 The romantic inscriptions on posy rings suggest that they were also used for weddings.